Home / Announcement / Revolutionary and Award-Winning Safety Hard Hat with Crashbox Technology for maximum protection and comfort. Revolutionary and Award-Winning Safety Hard Hat with Crashbox Technology for maximum protection and comfort. 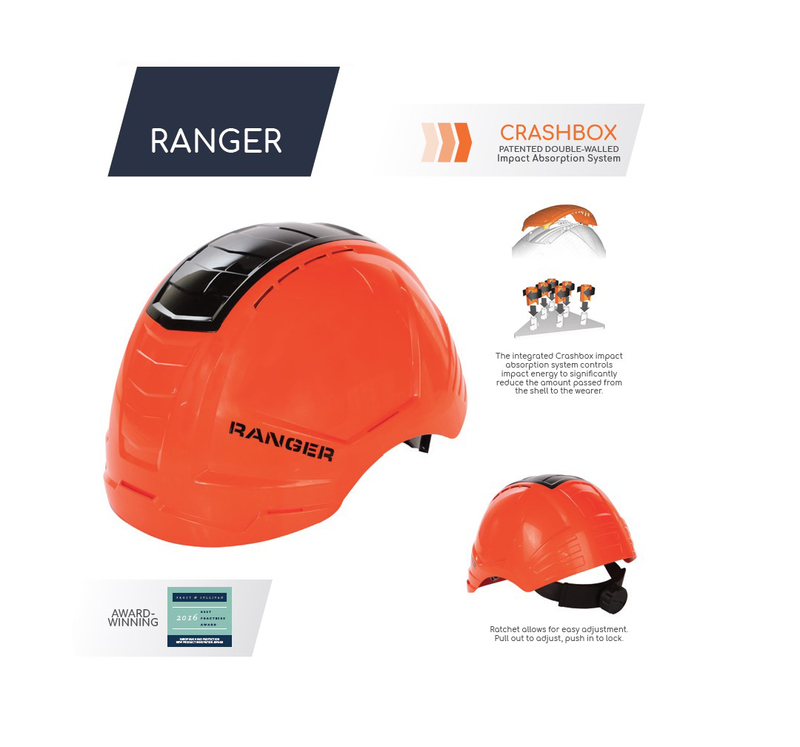 OnlineSafetyDepot.com is pleased to announce that they have been selected to market and sell Ranger, a revolutionary safety hard hat designed by German engineering for head and neck safety while on the job in construction or any setting where head safety is a concern. The helmet’s unique, patented, and *award-winning Crashbox technology creates a crumple zone type design that deflects and absorbs much of the impact forces before it even reaches the powerful 6-point suspension harness that further dissipates the force before reaching the head. These features also create a more optimal fit for enhanced comfort. And comfort means your workers will keep their protective hats keeping their protection intact. A padded headband with ratchet further enhances comfort to the wearer and allows for adjustment with one hand, provides adjustable sizing 53-62 cm, and extends low enough to provide additional protection to the base of the skull. As a company, we are committed to improving our relationship with, and service to, our customers and will continue to strive to improve the quality and reach of our product line.